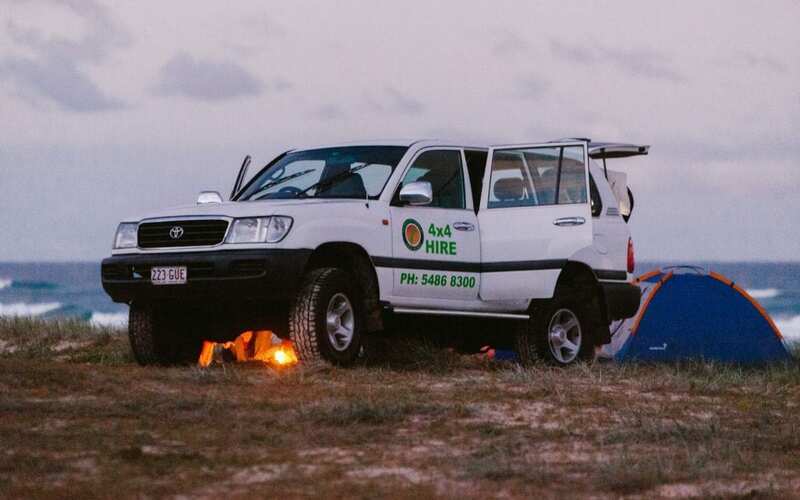 Why you should explore Fraser Island in a 4WD hire? Heard about Fraser Island? We don’t need to convince you to go – the internet is full of pictures, videos, blogs and recommendations about the world heritage listed island, so thousands of people around the world come over every year to experience Fraser Island Beauty. But as Fraser Island is the world’s largest SAND island as soon as you a do the smallest bit of research, you’ll realize you’re not going to get very far in your own normal vehicle! Deciding which way to see Fraser Island can be a bit daunting because you’ve got a few options to choose from. The three most popular are: hiring a 4X4, hopping on a bus tour or squeezing on a tag along tour. Bus tours are popular – they are a way to see the island without having to do any work yourself! You’ve got a driver who picks you up, takes you to a spot, tells you when to leave and drives you home. It’s not a bad way to see the island but we think takes out all the of the adventure! When you’re on a bus tour you are on a strict schedule to get from point A to B to C, so someone else is always dictating how long you get to spend at each place. Doesn’t sound like your style? What about a tag- along tour? You’ve got a lead driver in their own vehicle at the front and then two to three tag along cars following behind. Again – a popular way to see the island… for a specific demographic. Tag along tours are targeted at young 18-25-year-old backpackers who are on the Island to party. While they do go to the main highlights of Fraser, you’ve got 8 people in each tag car (a full car) going from place to place, music blaring, to be taken back to camp to party. This is not a tour for families or mature adults. So dreaming of heading over to Fraser? 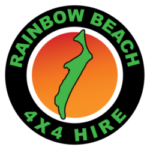 Let our friendly staff at Rainbow Beach 4X4 Hire help you make your dreams become a reality! Contact us today for more information or a complete quote.